Menu planning for the holiday season has a way of sneaking up on us, so to help you out we have gathered a list of our top 10 holiday recipes that are sure to please your family and friends this season! We included some traditional recipes which bring back holiday memories from your past and some new, tasty recipes which you may not have seen before. 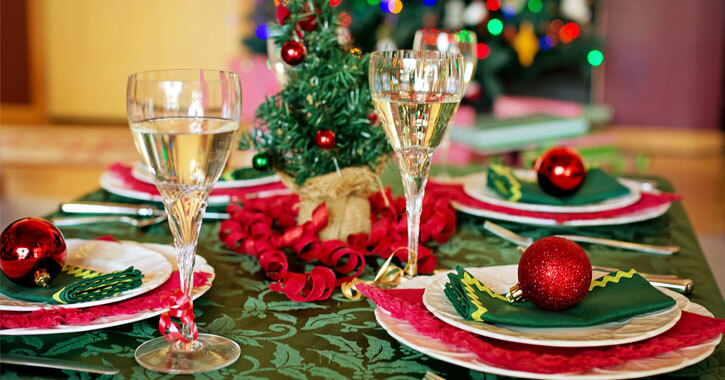 Once your festive meal is complete and you have decorated your home for the holidays, it's time to sit back, relax, and enjoy! In a large bowl, mix together pumpkin puree, eggs, oil, water, and sugar until well blended. In a separate bowl, whisk together the flour, baking soda, salt, cinnamon, nutmeg, cloves, and ginger. Stir the dry ingredients into the pumpkin mixture until just blended. Pour into the prepared pans. Preheat oven to 375 degrees. Sprinkle half of the cheese over your work surface. Roll out the puff pastry on the cheese. Then combine remaining cheese with paprika and cornstarch and sprinkle on the pastry. Keep rolling the cheese mixture into the dough, turning a few times, until the dough is about 1/8" thick. Using a sharp knife or a pastry cutter, cut into 1/2" strips and carefully place on parchment paper lined cookie sheets. Bake at 375 degrees F for 12-16 minutes until they are browned and crisp. Cool thoroughly and remove carefully from baking sheets. Store in airtight container. Serves 16. Heat the oven to 400 degrees F. Stuff 1 piece of cheese and 1 almond into each date, then wrap one piece of bacon around each date and secure bacon with a toothpick if desired. Arrange dates, bacon seam down and 1 inch apart in a shallow baking pan. Melt the shortening in a large pan on the stove, and cool. Then add sugar, eggs, and molasses, beat well. Preheat oven to 375 degrees F. Sift together the flour, salt and baking soda; set aside. Shape into 40 balls and place each into an ungreased mini muffin pan. Press down with a fork. Bake at 375 degrees for about 8 minutes. Remove from oven and let cool! Preheat oven to 350 degrees F (175 degree C). Spread the white and whole wheat bread cubes in a single layer on a large baking sheet. Bake for 5 to 7 minutes in the preheated oven, or until evenly toasted. Transfer toasted bread cubes to a large bowl. Preheat oven to 325 degrees F. In a small bowl, mix the olive oil, garlic, rosemary, basil, Italian seasoning, black pepper, and salt. Set aside. Note: Use caution when consuming raw and lightly cooked eggs as there is a risk of salmonella or other food-borne illness. To reduce this risk, use eggs that have been pre-treated to destroy solmonella (either by pasteurization or another approved method), or pasteurize the eggs yourself. Preheat oven to 300 degrees F (150 degrees C). Line 2 small loaf pans with parchment or wax paper. In a large bowl combine Brazil nuts, dates, cherries, and pineapple. Over the fruit and nuts sift the flour, sugar, salt, and baking powder. Mix well. In a small bowl combine eggs and vanilla; beat until foamy. Pour over fruit mixture and mix well. Spoon batter into prepared pans. Bake in preheated oven for 1 1/2 hours, or until a toothpick inserted into the cake comes out clean. Fill egg whites evenly with yolk mixture. Garnish with paprika, pickles, and pimentos. Store covered in refrigerator.